In the 1901 census the family were living at the Lamb and Flag Tavern, 69 High Street, Hackney, London. This was Albert senior’s own business which was also his family’s home. They engaged a Cook and Housemaid. By 1911 the family had moved to Southampton living at 245 Foundry Lane, Shirley. Albert, the father was away at sea the night the census was taken. At the time of his death Albert’s next of kin was given as Mrs Annie Eliza Green of “Acacia”, 29 Janson Road, Shirley, Southampton. Education and Employment: Albert was born in London in 1897. Both his parents were from Hampshire. His father was publican of the Lamb and Flag Tavern in Hackney. The family moved to Southampton by 1911 where Albert joined Taunton’s School. 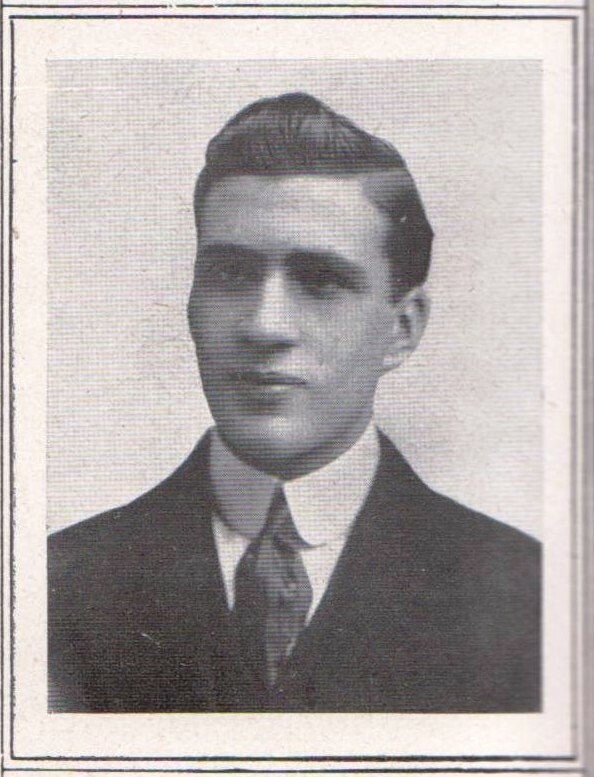 Life during the war: Albert lived in Shirley, Southampton but enlisted in Reading, Berkshire. He joined the Royal Scots Fusiliers and rose to the rank of Corporal in the 2nd Battalion on account of his bravery. Albert was last seen in the trenches near Loos, severely wounded, shortly before his trench was occupied by Germans. He is buried in Longueval Cemetery in France with an unknown soldier from the Devonshire Regiment – their remains were impossible to separate when re-buried in the cemetery. Albert died on 29th September 1915 aged 17 years. Albert is Remembered with Honour at the London Cemetery and Extension, Longueval on the Somme in France. Fragments G. S. Uniform; One R.S.F. title; One Devonshire Regt. Cap Badge; Two sets of Corporal’s stripes; Whistle; Fragments 2 pairs G. S. Boots.